Strom watches are unlike any other watch. Daniel Strom has moved away from the tool watch to design a range of steel and silver watches that have already made a mark. The Strom watch collection, between black and light, between luxury and provocation, offers the essential functions of watches, such as hours and minutes or even the date, without going further. 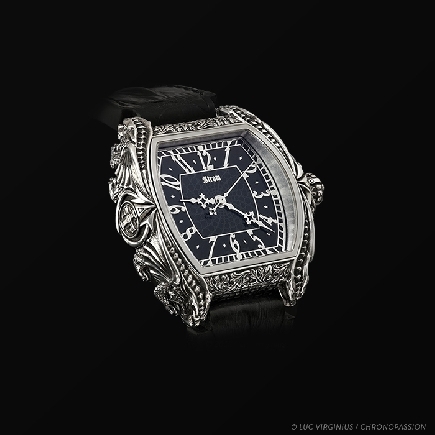 Indeed, the major interest of Strom watches is, with Daniel Strom, in the field of an "art watch", where the case, dial and bracelets are worked by hand, so that the brilliance of silver and steel comes out of the black at best. 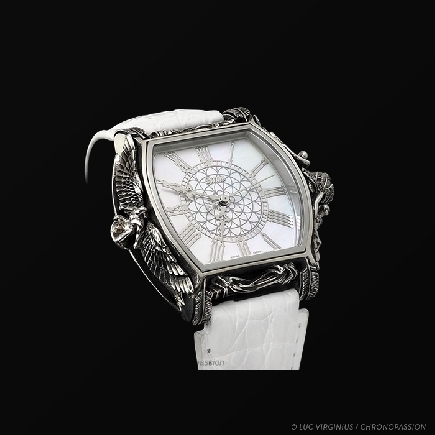 There is a unique resonance between the owner and his Daniel Strom watch - a resonance that takes on life, death, the famous "memento mori" that goes far beyond the framework of the skeleton to become a luxury universe entirely handmade. 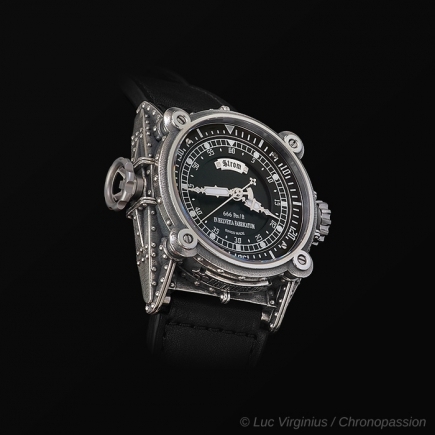 If Daniel Strom's watch collection resonates so strongly with lovers of luxury collectible watches, it is because these automatic or hand-wound models remind us every second with a black glow that life must be lived minute by minute, hour by hour. In this way, Daniel Strom establishes with him a particular resonance. A fusion of stainless steel and silver, a Daniel Strom watch collection naturally emerges from the world of "tool watches" and "vintage watches" to impose itself in the midst of brands that limit themselves to giving the time. To achieve resonance between the watch and its wearer, design played a dominant role for Daniel Strom. 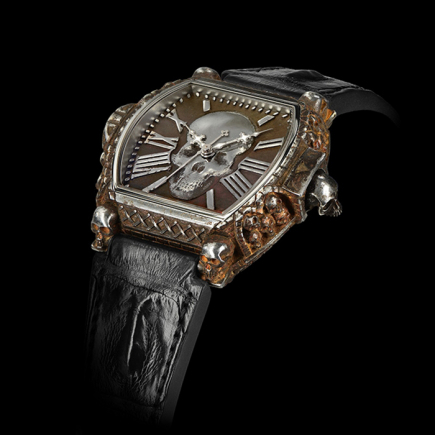 First, the design of the case, imposing, combining steel and silver, hand-carved for each collection of the signs of the "memento mori". The solid silver used in this design gives the watch a shine between shadow and light, variations of black that are not found anywhere else in other brands or in any other watch, not even skeleton, whether it is luxury or not luxury. 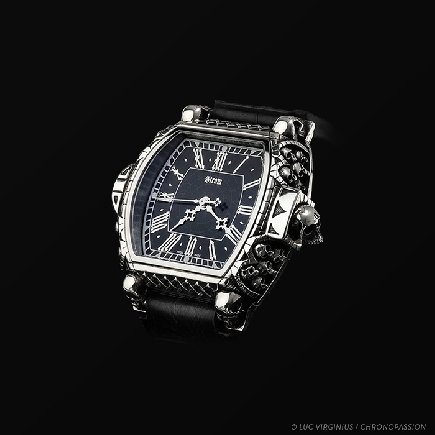 Most of Strom's luxury collectible watches use deep black bracelets, which provides a striking contrast to the brilliance of stainless steel and solid silver. Daniel Strom (based in Biel) also offered his bracelets a unique design, made of relief and leather sculptures. 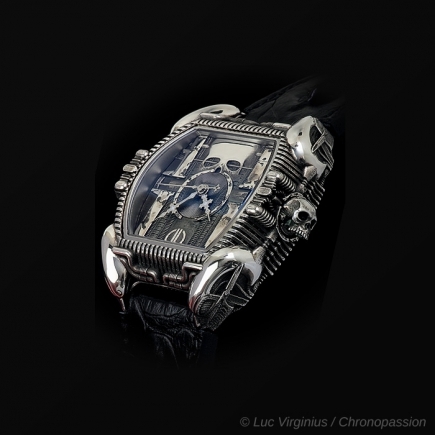 His Agonium or Memento Mori collections use these bracelets on most models, a unique case among luxury watches. 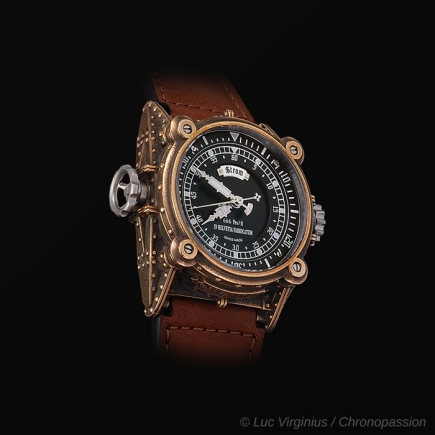 The movement is either self-winding or hand-winding. Daniel Strom has also developed a women's watch model, with a design that uses the same codes as each men's watch collection: a strong design, a widely engraved case, the use of solid silver, highly crafted leather straps, as in the first Memento Mori or Agonium. 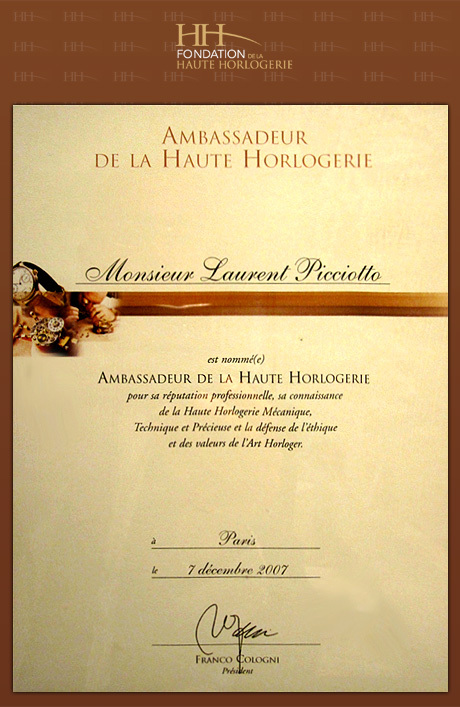 The dial of the women's watch collection features iridescent mother-of-pearl, which is found in the traditional luxury watch. These different Daniel Strom collection models are unveiled every year at Baselworld - and even Johnny Hallyday had taken a date to book a model worthy of a Ridley Scott movie !